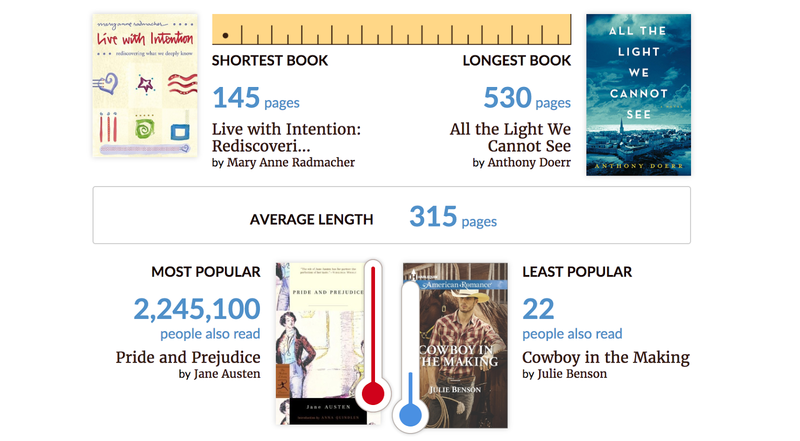 In January I pledged to read 50 books with the 50 Book Pledge. I ended up jumping into this pledge with every spare minute I could find because I have finished the year having read a total of 85 books! Here's my year in books! 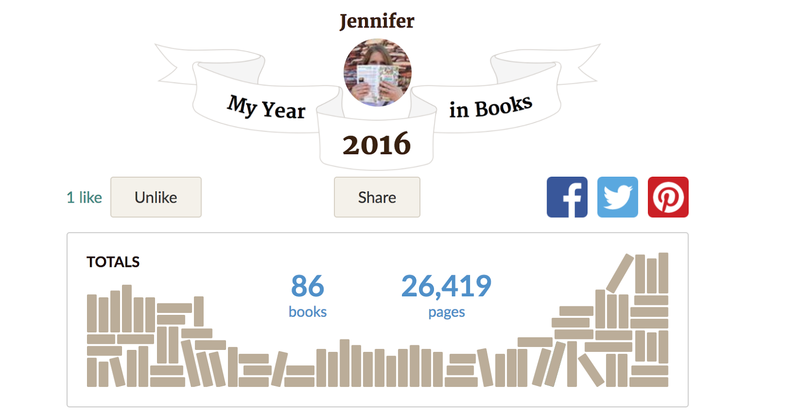 Also - if you track your books on Goodreads, they create a funky infographic with all of your books at the end of the year. Here are my highlights! Stay tuned for my 2017 reading goals soon. Rather than focusing on a number, I have a few series and authors I'm hoping to target.